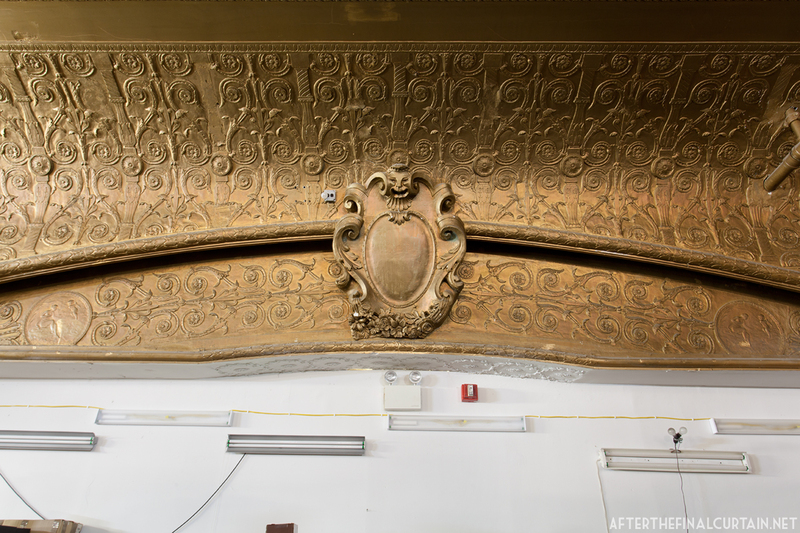 The remains of the Empress Theatre’s proscenium arch. 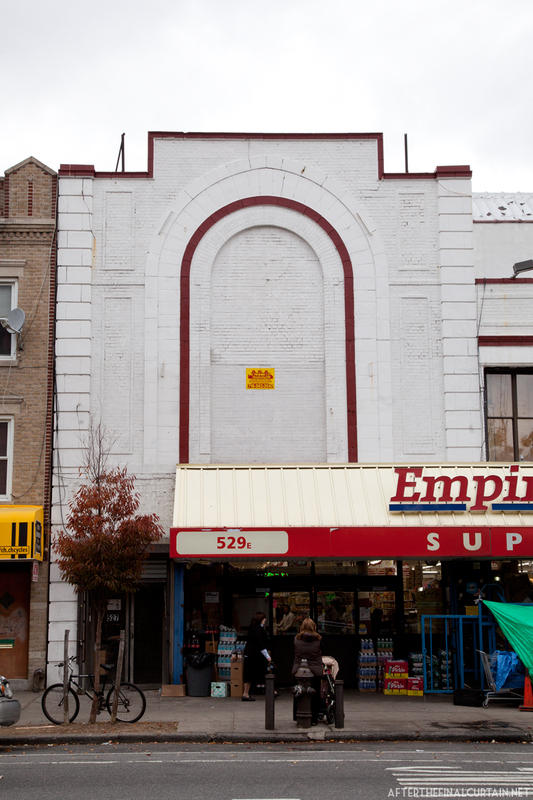 The Empress Theatre opened in 1927 in the Crown Heights neighborhood of Brooklyn, New York. 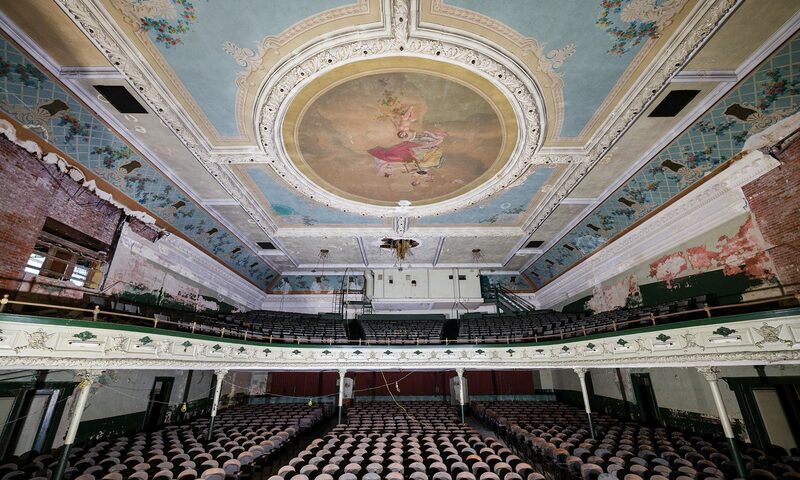 The 1,595 seat theater was built by architect Charles A. Sandblom, who is also known for the Gramercy Theater in Manhattan. Originally part of the Century Circuit, the theater became part of the RKO circuit in 1929. The former balcony is currently used for storage. 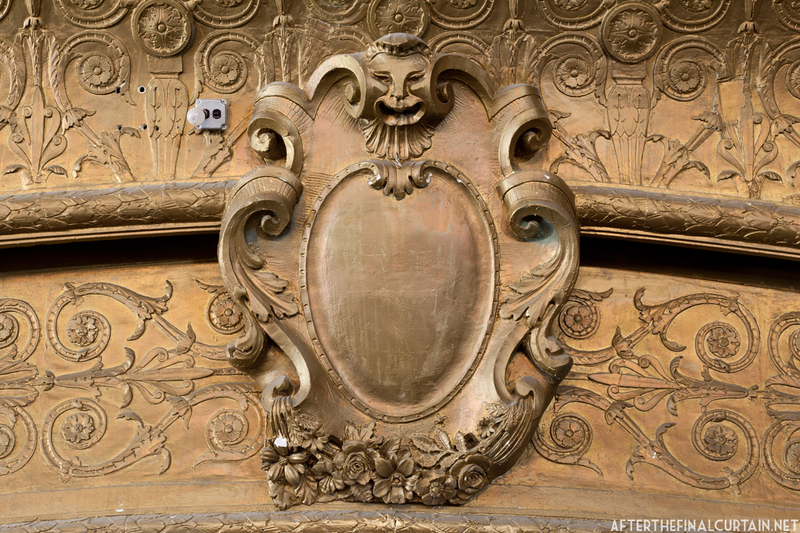 The Empress closed in 1941 and reopened the following year as the Crown Theatre. 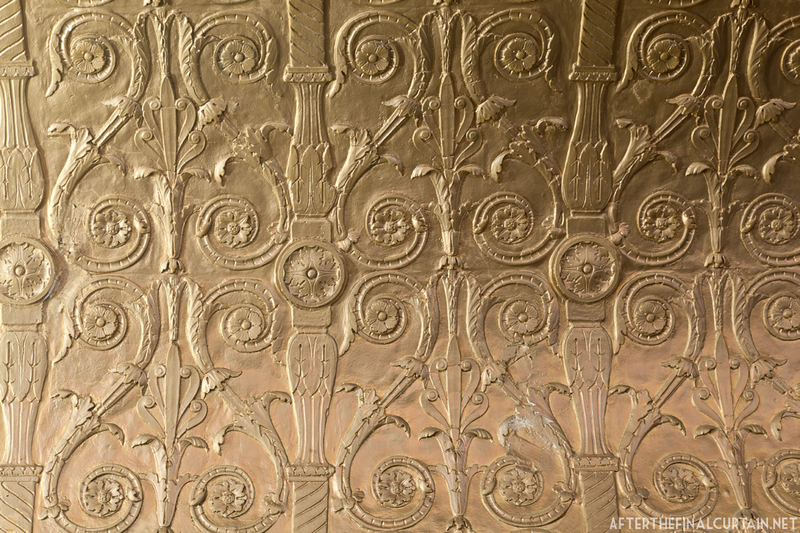 Unfortunately, the revamp was short lived and the theater closed permanently in 1950. Since then, the building has gone through a number of different uses, including a dance hall, a furniture showroom, a banquet hall and a night club. 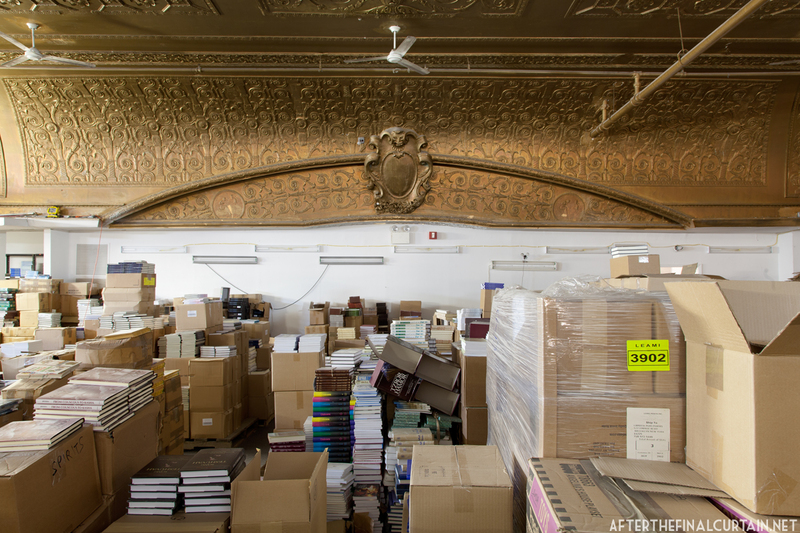 It is currently being used as a supermarket, medical center and storage for a publishing company. 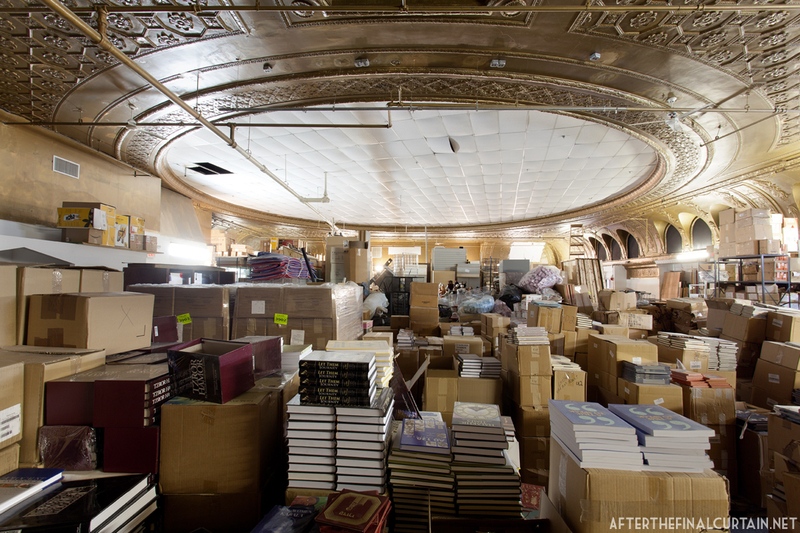 The ceiling is all that remains of the former theater. 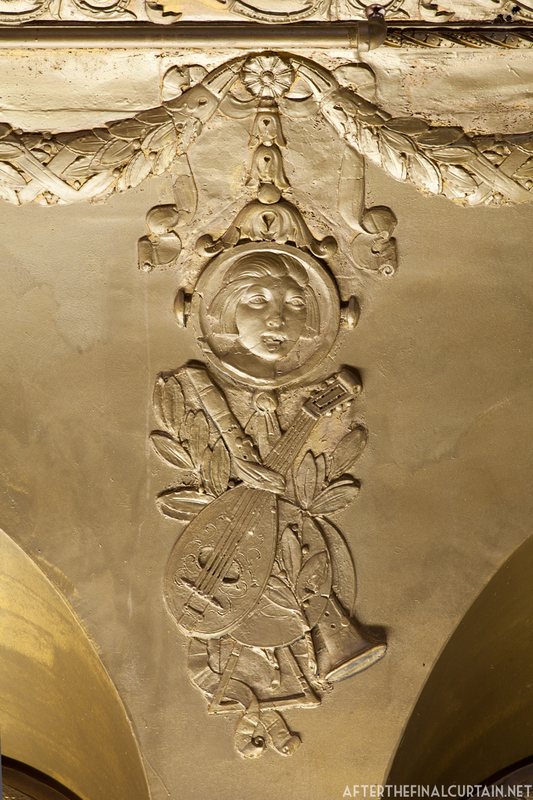 A close up of the proscenium. 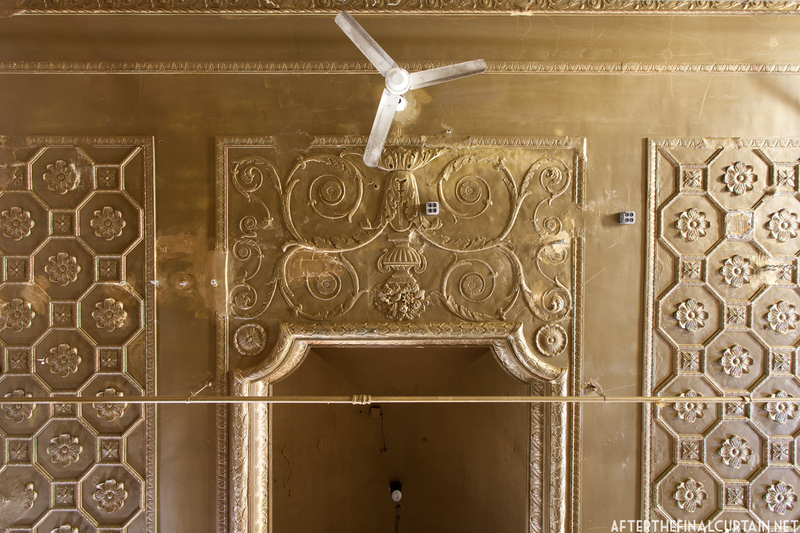 The fans and sprinkler system were added when the former balcony was being used as a furniture showroom. The Empress switched to showing only spanish language films in 1948. 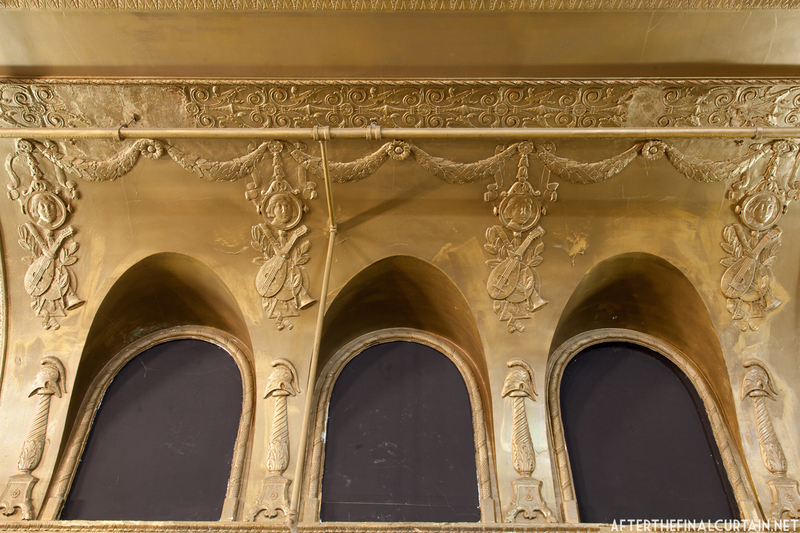 A close up of some of the plaster-work on the side of the proscenium. The exterior of the building. 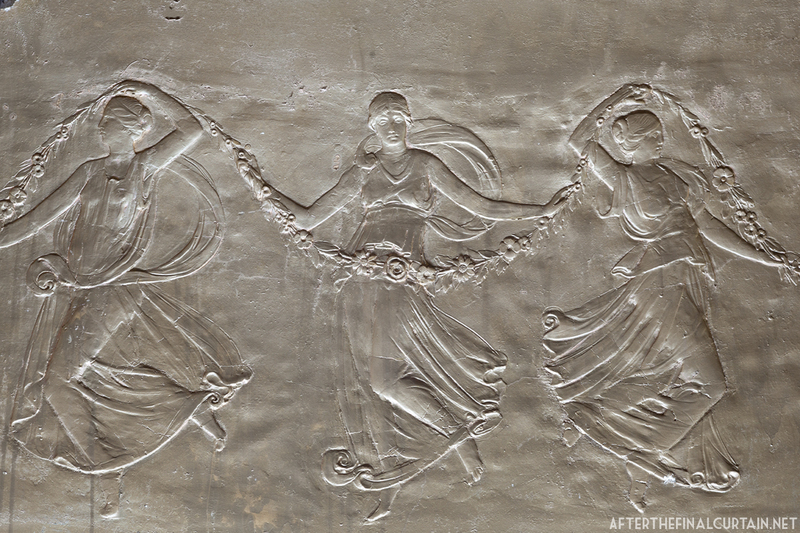 A close up of some of the plaster-work on the side of the auditorium. 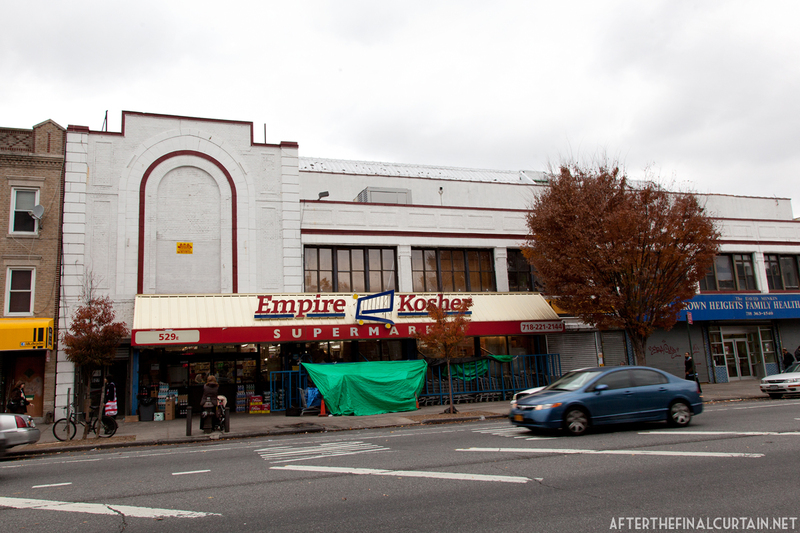 Empire Kosher, a kosher grocery store currently occupies the main level of the building. © Matthew Lambros and After the Final Curtain, 2013. Unauthorized use and/or duplication of this material without express and written permission from this blog’s author and/or owner is strictly prohibited. Excerpts and links may be used, provided that full and clear credit is given to Matthew Lambros and After the Final Curtain with appropriate and specific direction to the original content.